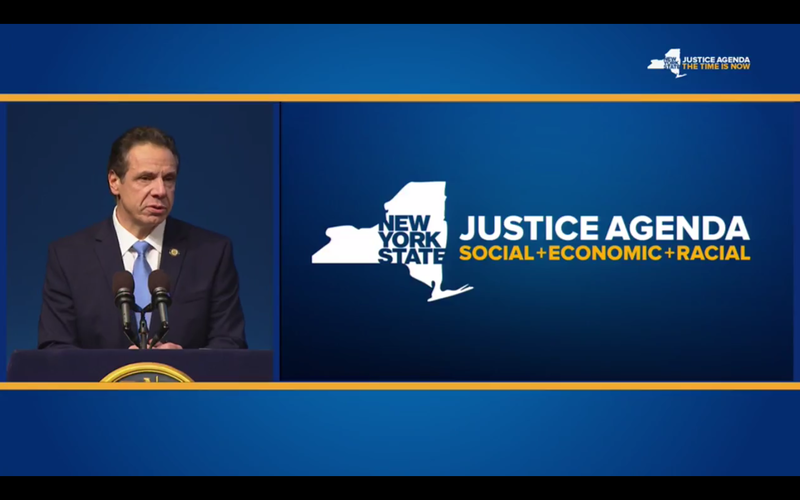 New York Press Release – Straight from Governor Andrew Cuomo’s Office to the email address, the 2019 Justice Agenda begins with debates for social and economic progress for all New Yorkers. What does this mean for the Rich and the Poor population and how does this impact safer sidewalks, healthcare, sexual wellness, jobs, equal pay, education for all, climate change, clean water, and successful property taxes to house affordable change? 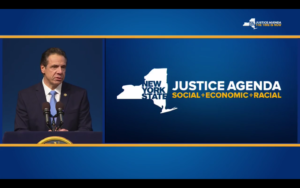 Governor Andrew Cuomo is not talking about the Mexican Wall and how it impacts the Tribal Government these days, the Governors concerns are heard both on the hotline in Albany, written proposals, and through the ministries of Foot Soldiers like The Esoteric Transformational Ministries to make safer Justice a reality for ALL to enjoy. The opportunity to progress in New York is to get heard using skillful language that affect policy, city council, Mayors, and Legislature. The question is does New York have enough money to make a difference in the 2019 Budget to spearhead President Trump tomorrow? Will New Yorker’s use the proposed funding to impact change? What’s the point in bugging the Politian for funding if New Yorkers do not take advantage of all available output for a better Quality of Life? So, what is on the table right now? 1. Economic Justice: Proposed Tax Cuts for the Middle Class? Continue or Extend the Millionaire Tax Cuts (Real Estate ears)? Smart Pending Data Devices? Protecting State Resources? The IRS? And get this Local and Unconstitutional Taxes? So how does New York get built from the bottom to the top and how does one get there without the educational tools to articulate change to keep New York Strong? Well, the New York public can not continue to drop sugar trails for change outside, so let’s understand how the 21st Century will continue for the next generation using a Sexual Wellness Strategy. New Yorker’s know that housing has to happen in order to reproduce in an un-bias way. The Governor likes to hear from all racial classes and genders not just one who speaks a multitude of languages. The runway language is now the Governor’s playground for the naysayers, the elites, or personal or political paralysis, according to the report. The lessons of Fundamental Faith is now on the media forefront. Big Wallets, Big Solutions, Big Changes will overwhelm votes if the Pre-K crowd is not focuses on their Geometry homework tomorrow. Marriage Equality is now legal, a National Broadcast for $15 per hour is now legal, however, Transportation is still a Growing Pain and a Political nightmare since Hurricane Super Storm Sandy, although Governor Cuomo does not mention the weather. And let’s not forget the Rhetoric behind being well behaved called Education. How are the skills being used to separate Politics from Policy as most Music Rappers speak about everyday in there lyrics? Children, who can afford them if the schools can not! Voting rights are not understood because of integration between Federal and State! Cynical and skepticism is not about your favorite today! Social Justice, jobs, and the homeless are all dramatic peril today due to the replacement of policy over rhetoric! And Affordable Housing, the number one threat to everyone’s dinner table due to the fact most meals do not have to be prepared at home to be deemed Constitutional tomorrow! Since the 1949 Housing Act, promising safe, clean, sanitary, and decent housing has been the NUMBER ONE complaint to the ministry of Foot Soldiers in New York, when will there be “Justice For All” to live like a Westerner and not a Victim on “No Kids!” Lastly, the Opposing Leadership over Dress verses Pants issues brings new directions to Economic Justice and how or who Vaginally delivers Kids tomorrow. Criminal Reform will adopt a new position, marijuana will be absorbed differently, and cash bail will bring new light to who is released a man or a transgender? Will $15 dollars an hour pay the rent under the Economic Justice State of the Union Address tomorrow? How about Special treatment for Blacks? When it comes to the wealth, who fits the when enacting Legislation? Who are the Collaborators tomorrow? Until the next thought piece on The 2019 State of Address for the public to debate. Remember how is in control of your wallet tomorrow!